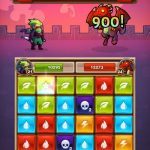 Though Gems and Dragons is a game that may suggest a hybrid of Match 3 and RPG gaming and yet another entry in that growing mobile gaming genre, it is actually more of a pure Match 3 game. Unlike most other games in the latter, more familiar genre, Gems and Dragons is available for Android but not on iOS. 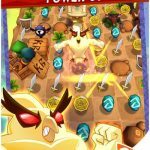 And if you’re an Android device owner, you can enjoy this “new, fun take on the Match 3 favorites” by swapping different kinds of gems to eliminate the pieces on the board and feed the dragon. You can create special pieces with matches of more than three, complete hundreds of “painstakingly created” levels, and test your strategy skills in this relatively new title from Banda Games. Match 3 gaming may be a genre where it’s “played one, played ‘em all,” and a lot of the tips we have for these games apply to multiple titles. 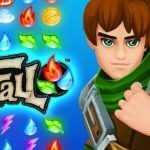 Nevertheless, we still believe you’ll find this list of Gems and Dragons tips and tricks useful, especially if you’re a newcomer to the Match 3 genre, or to this game in particular. Now here’s one of those Match 3 tips that apply to practically all. But just in case the genre is something new to you, we shall repeat it for your benefit – don’t just aim for matching three, try to match four or more if the option is available. That’s going to allow you to create special pieces that could help you reach your goal and complete a level faster. The most you can do is match nine gems for a prism, which allows you to take out a huge, huge chunk of the board. You have the option to buy power-ups, e.g. the bomb, the prism, or the arrow, in the in-app store. Take note that buying these power-ups is strictly optional, but you might want to spend a little to buy them, especially in the harder levels of the game. In the easier ones, there’s a very good chance you won’t need to use them too often, if at all, so save your power-up purchases for when it’s absolutely necessary. Once you’ve failed a level, you will be asked if you want to spend 100 gems to get five more moves. 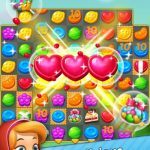 We read one set of tips and tricks that actually is in favor of doing this, but to be brutally honest, you do not want to spend gems for a paltry five moves extra. Sure, if you’ve got tons of gems to burn, it might make for a good desperation strategy, but otherwise, gems are hard to come about, being the premium currency. Save those gems and replay the level you failed. Gems, meaning the premium currency and not the pieces on the board, can be earned by three-starring as many levels as possible. More stars means more gold and gems, though if you weren’t able to three-star a completed level, you can always return to the level and replay it in hopes of getting a perfect three stars.